Len Berzerk was born in Brooklyn but raised on the mean streets of the South Bronx. His passion for music developed early in life. When he heard the song “White Lines” he immediately began imitating the “Street DJ” and started scratching the record. He developed his ear for music with this simple gesture. Eventually, he began producing beats and started rapping over the tracks. His lyrical skills are diverse and he focuses on real-life situations. Len Berzerk has been recording since 1991 and received his first break into the industry in 1996. Len Berzerk is credited as a Producer, Video editor, and Rapper. 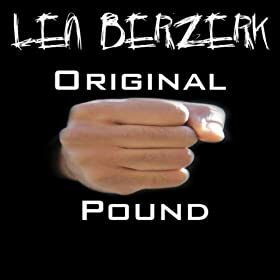 Len Berzerk continues to create beats and produces albums. His albums can be found on TheOrchard.com, Itunes.com, Amazon.com, Emusic.com, Rhapsody.com, Cdbaby.com, Discogs.com and Myspace.com/LenBerzerk. He plans on releasing more material in the near future, until then Google the name. His albums can be found on TheOrchard.com, Itunes.com, Amazon.com, Emusic.com, Rhapsody.com, Cdbaby.com, Discogs.com and Myspace.com/LenBerzerk. He plans on releasing more material in the near future, until then Google the name. Len Berzerk Music. Please leave your comments. Thanks for the support.